Being born in Williamsburg, Virginia, I have always had an interest in the colonial period of America. One convenient way to begin to instill an understanding of the period is to imagine a world without electricity. The colonists lived in a world lit by fire – candles, oil lamps (fueled by whale oil, mostly), and fireplaces. Mirrors and reflective surfaces helped to increase the candlepower and illuminate spaces. Since most of the early colonists came to America seeking a place to practice their religions, Christmas was primarily a religious event, far more somber than it is today. In fact, the Puritans (known to many as the "pilgrims") did not allow any partying at Christmas and fined anyone who broke the law. This prohibition lasted for more than one hundred years in the areas in which they settled. Ministers would thunder warnings of hellfire for anyone who drank, gambled or otherwise made merry at Christmas. People in Virginia did celebrate Christmas. Everyone spent time preparing for the season, making sure there would be enough food and drink for people and animals so that the Christmas season, not just Christmas Day, could be celebrated with dances, banquets, hunting expeditions and other forms of revelry. Firecrackers, cannon shots and shots from muskets would resound on Christmas morning in Virginia. People would even bang pots and pans in kitchens on Christmas morning, a custom that eventually spread throughout the South. What did they eat in Virginia at Christmas time? The bounty of nature provided such delicious treats as turtle soup, crab, wild pig, venison, oysters, stuffed turkey, nuts, raisins and other foods that they grew. Cakes, mince pies, and wines, especially wassail (an English spiced wine) — all the foods that most Americans associate now with Christmas — began in this lively and fun-loving colony. The Dutch settlers also celebrated Christmas with joy. Dutch children put out their wooden shoes, waiting for Sinterklaas (recognize one form of Santa Claus?) to fill them with treats or toys. Toys were handmade and many of them are valuable collectors' items today. 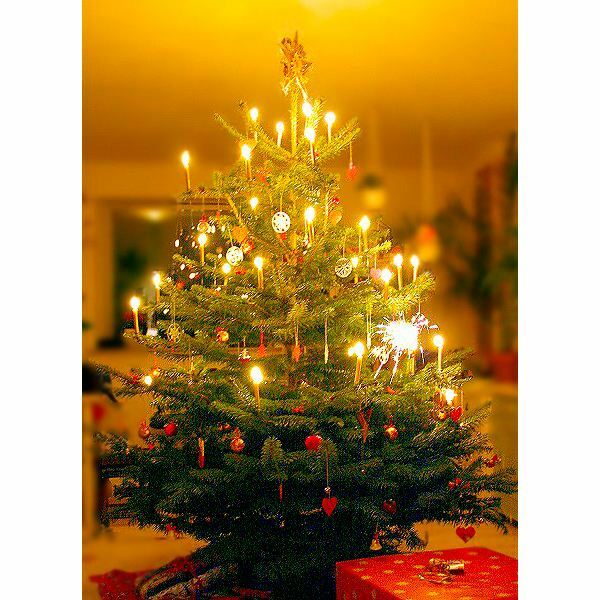 The Christmas tree and Santa Claus would not become a part of mainstream America's Christmas repertoire until well into the nineteenth century, when German immigration increased.